2017 Sony Camera & Lenses Black Friday Deals now Available! Good News!!! Today, Sony USA has just released the Black Friday deals and sales. From now on, you can save up to $500 + free accessories for Sony mirrorless cameras at B&H/ Amazon/ Adorama, and save up to $200 on Sony lenses at Amazon| B&H| Adorama. 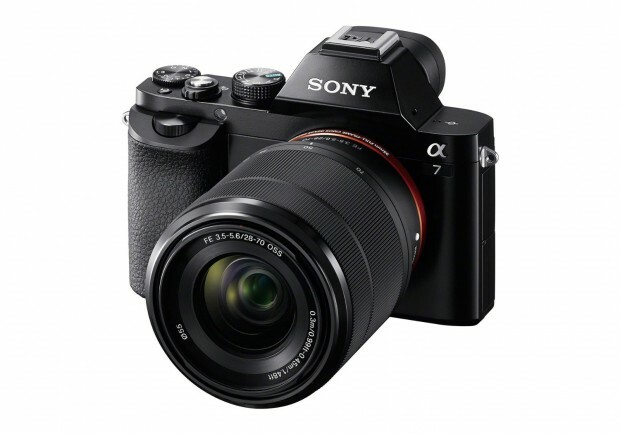 Hot Deal: Sony A7 for only $798! Super Hot!!! The price of Sony A7 Full-Frame Mirrorless Digital Camera has just dropped a lot! It is now for only $798 at Amazon/ B&H/ Adorama. Nothing is impossible! You can get a Full-Frame camera just under $800!!! Up to $200 Off on Sony a7 Series Mirrorless Cameras & FE Lenses now Live ! Along with recently trade-in bonus on Sony full frame mirrorless cameras, Sony USA also released a new instant rebates on Sony a7 series mirrorless cameras and Sony full frame mirrorless lenses. Hot EDU Special Deals – 10% Off on Sony a7 Series, a6300, a6000 and FE Lenses at B&H Photo ! B&H Photo Video has a limited time sale on all Sony a7 series mirrorless cameras, a6300, a6000 and most FE lenses for students. Students can get 10% off on all these gears. Sony USA authorized dealer Adorama camera has super hot deals on Sony a7 and a7K full frame mirrorless cameras. The price for these deals is very low, could be price mistake. Up to $200 Free Gift Card When Buy Sony a7RII, a7SII, a7II, a7R, a7S, a7 at Adorama ! For a limited time, Sony USA authorized dealer Adorama Camera currently has up to $200 free gift card when buying Sony a7 series full frame mirrorless cameras.